Raise your hand if you have started bodyweight training with the Results app! I hope your hand is raised nice and high. If not, we’re excited to announce some brand new features in our recent update that may entice you to start training Results style. 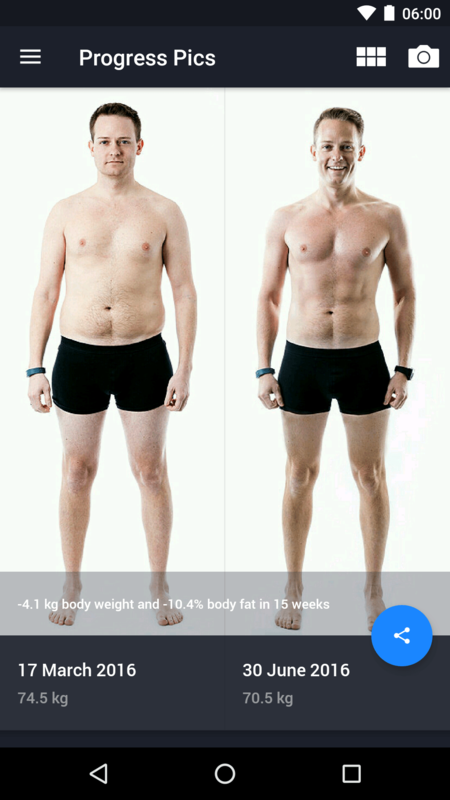 Progress Pics: You can now keep track of your transformation by taking Progress Pics right in your app. You can choose to keep them for yourself, or you can share them with your friends on social media to spread the motivation. Apple TV & Chromecast: At-home workouts are even more convenient now that Results is compatible with both Apple TV and Chromecast! You can see all your exercise demonstrations and workouts on the big screen. How cool is that? The quick and intense workouts found in the Results app are perfect for at-home training! Especially with the ability to connect to Apple TV and Chromecast. If the weather is bad or you don’t have time to make it to the gym, Results workouts at home are your perfect solution. Here are 8 benefits to at-home workouts and why you should get started today! 1. You save time: You don’t have to get in the car and drive to the gym or the park to do your Results workout. The only time you need is to get dressed and start your app. If you set out your training clothes ahead of time, you save even more precious minutes. 2. More money in your pocket: You don’t have to pay for an expensive gym membership with tons of fancy equipment which you aren’t even sure how to use properly. Save that money to treat yourself to something nice after you’ve reached your healthy goal weight. 3. You don’t have to find a babysitter: For all you busy parents out there, at-home workouts can be a lifesaver. You don’t have to worry about finding childcare and it’s even possible to sneak in a workout while the kiddos are down for a nap. 5. You can be a positive influence: Perhaps this can be your way of motivating your partner to join you on your fitness journey. If they see how hard you are working, even while training at home, they might be a bit more enticed to train with you. It could be a lot more effective than nagging them all the time. Additionally, maybe the kids are watching. This can help them associate fitness and working out with fun, and realize it’s something that you’re just supposed to do (like brushing your teeth and respecting elders). 6. Nobody is judging you: Sometimes, the gym can be an intimidating place. Everyone seems to know what they are doing and you can be thinking, “What the heck am I doing?” At-home workouts allow you to do your thing, no judgement. 7. On-the-go friendly: For those of you who travel for business frequently, it could be the case that a hotel room feels more like home than your actual one. And when your hotel doesn’t have a gym and you only have a short amount of time to squeeze in a workout – you have to go for it! 8. Wham, bam, done! : At-home workouts don’t have to be super time-consuming. In fact, you can squeeze in a 10-minute at-home workout and you’re good to go! 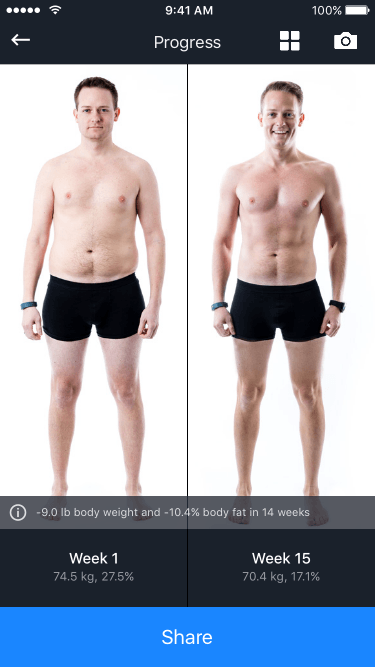 The Results app is the perfect way to literally transform your body at home in just a matter of weeks. Take a look at our blog and read René’s transformation story, or share in Manja’s incredible journey from Week 1 to Week 12. Are you a dedicated Results user looking forward to taking your first Progress Pic or training at home with your Apple TV or Chromecast? Or are you just getting ready to begin? Tell us about your results and experiences below in the comments! Download your update (now available in App Store on your Apple TV) and get even fitter and stronger in the next few weeks.